Gather - Bath & Body Works - Candle Find ... the site for candle lovers! It’s 97 degrees outside. Keep your Pumpkin Spice away from my Margarita!! LOL!! Seriously, it’s SO true! By the time Fall arrives, we’re still slurping summer drinks and lounging by the pool working on our tans. So it’s very hard getting into the mood for pumpkin and Fall fragrances when it’s still so sunny and warm outside. With that said, I like to cut myself some slack and start Fall reviews in September and now – here I am! Fall reviews… here we come! Up first… Gather – a candle I couldn’t wait to smell. The description sold me, hook line and sinker. Bourbon Glazed Apples, Maple Sugar, Creamy Vanilla. Oh heck yes!! I’ll take a dozen please. To me, Fall is not complete without an apple scent and just the thought of apples soaked in bourbon glaze, maple sugar and creamy vanilla had my mouth watering something fierce. Smelling the wax – Mmmmm!!! Spicy apples meets vanilla and maple all the way and it was so warm and yummy – this candle truly signifies Fall for me. I lit this candle (Gather) in my master bedroom and not even 5 minutes in, the fragrance was already moving through my bedroom and oh my goodness!! My entire bedroom smelled like a rich vanilla custard and sweet maple first with spicy apples coming in last. 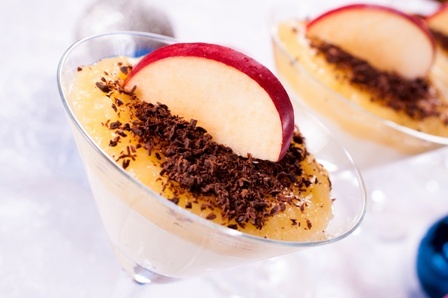 All blended together was one amazing and mouthwatering scent. Also, I know spice isn’t listed in the scent description but I swear I smelled a teeny little smidge of it. Seriously candle lovers… love, love, LOVED this scent!! Strength – I would rate this candle a 10 out of 10 in any size room. This fragrance not only filled my entire bedroom and open bathroom, it spilled out into my great room as well. How did my Gather candle burn? 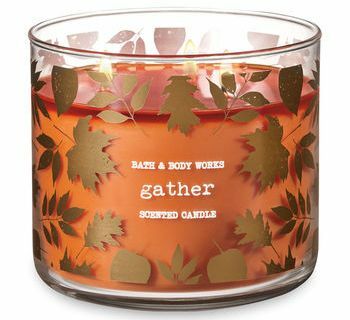 Gather from Bath & Body Works is a must have for all candle lovers this Fall. It was warm, cozy, and smelled so freaking good – like apples soaked in maple and rich vanilla cream. I’m definitely picking up several more before the Fall season ends. Don’t see this candle listed on Bath & Body Works website? Try one of their stores where they carry all their current scents. I don’t know why but scents fluctuate on their website.